Have a question for Kiwi Express Hotel-Kaohsiung Station? "Good service, good breakfast, good cleanliness." 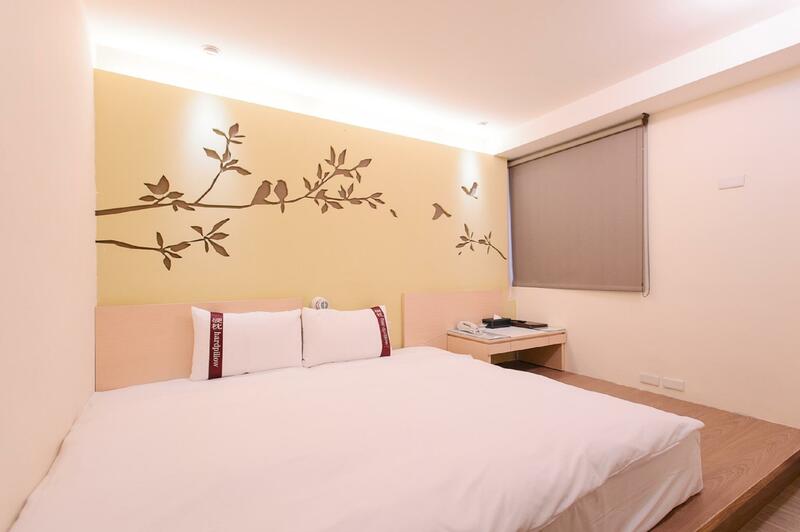 "Staffs are very accommodating and our hotel room is big (big..."
Offering quality accommodations in the sightseeing, shopping, restaurants district of Kaohsiung, Kiwi Express Hotel-Kaohsiung Station is a popular pick for both business and leisure travelers. With its location just 0.5 km from the city center and 9 km from the airport, this 3-star hotel attracts numerous travelers each year. 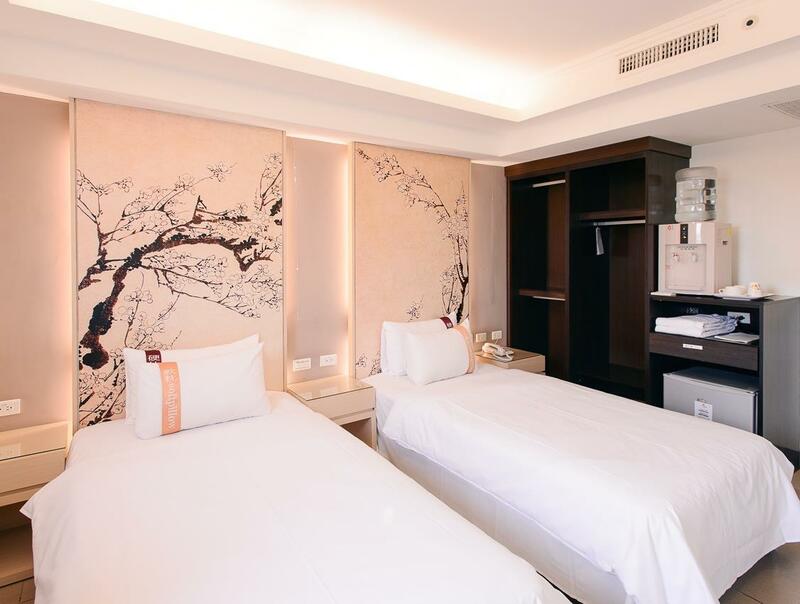 For sightseeing options and local attractions, one need not look far as the hotel enjoys close proximity to Shoe Street, Houyi Shoping Area, Honey Museum. 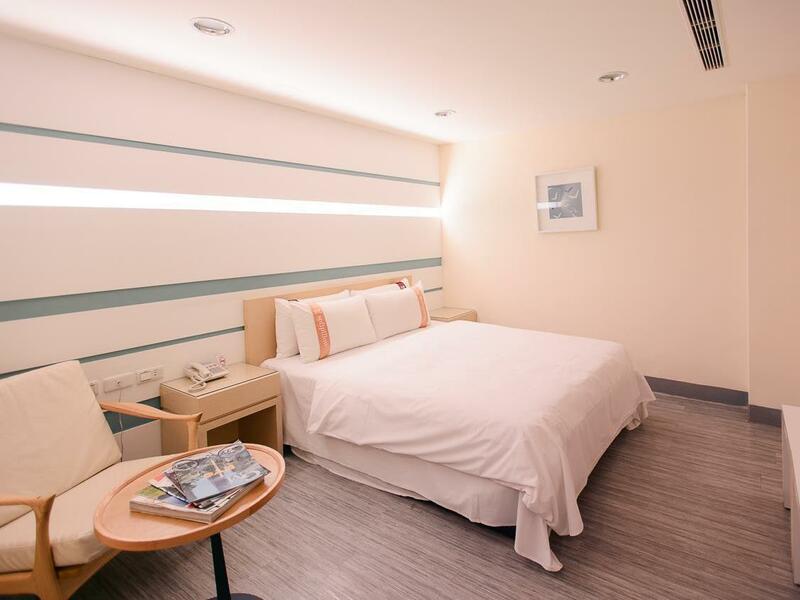 Kiwi Express Hotel-Kaohsiung Station also offers many facilities to enrich your stay in Kaohsiung. Guests of the hotel can enjoy on-site features like free Wi-Fi in all rooms, taxi service, 24-hour front desk, express check-in/check-out, luggage storage. Hotel accommodations have been carefully appointed to the highest degree of comfort and convenience. In some of the rooms, guests can find television LCD/plasma screen, complimentary instant coffee, complimentary tea, internet access – wireless, internet access – wireless (complimentary). Besides, the hotel's host of recreational offerings ensures you have plenty to do during your stay. Whatever your reason for visiting Kaohsiung, the Kiwi Express Hotel-Kaohsiung Station is the perfect venue for an exhilarating and exciting break away. "The room is spacious and functional." Pets are welcome and are subject to a cleaning fee. Staffs are very accommodating and our hotel room is big (big enough to accommodate a group of 4 people). Also, the location is perfect! The only downside is their breakfast, food is not good. Hope they can improve when it comes to their food menu. Above all, our stay in Kaohsiung is totally well spent. The hotel is clean, the staff is friendly. However due to some construction nearby the hotel, the path going from kaosiung station to the hotel requires to walk with stairs. So just be ready to carry heavy luggage while climbing the stairs. one of the better ones that we have stayed in Taiwan. The room was rather spacious and the breakfast was quite good. Bed and pillow was a bit too soft for my liking. staff was super friendly, especially those from the restaurant. great value. Clean, very spacious and comfortable room. 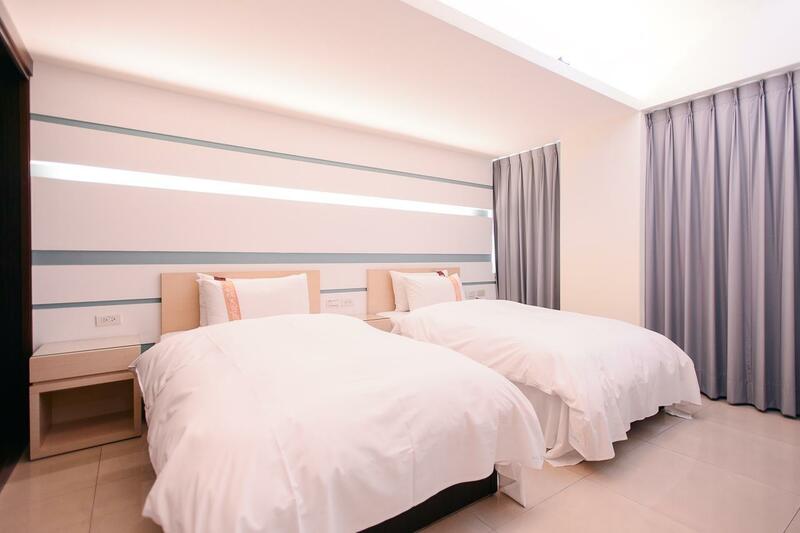 (4-person room) There is self-service laundry and drying as well at very affordable price (20NTD for 1-time washing and 30 NTD　for　60min drying). There is a snack station too providing tea/coffee and some snacks. downside: our room is beside lift and the sound-proof isn't too perfect, so we could hear noise from other guests taking lift occasionally. Some distance from the MTR station as you need to enter the train station from back entrance, walk across the platform and exit at the front entrance to reach the MTR exit. Could be a hassle if you have luggage. The size of the quad room is really big, with 4 single bed. Clean room with individual water dispenser in the room. Really value for money. The only bad thing is the quad room is next to lift and staircase, very noisy in the morning. The hotel is a distance away from the MRT which will get you to everywhere of the Kaoshiung city. So it is not suitable if you are lugging with heavy luggages, otherwise it is a breeze walk from MRT, pass through the park, and walk down the street with street views. Breakfast has very limited choices. Just 1x breakfast will make you opt for eating outside the next day. This hotel is value for money although not really that near to Kaohsiung Main Station (probably due to some construction works at the station). A strange thing I noticed(maybe just me); the access card to the room has the hotel name and room number printed on it. Wouldn't it be a giveaway if one was to accidentally lose the card? Check in time is a bit too late at 5 pm. Usually check in at around 3 pm. Requested for Vegan Meal and the hotel provide good vegan meal accept the choices is a bit too little. 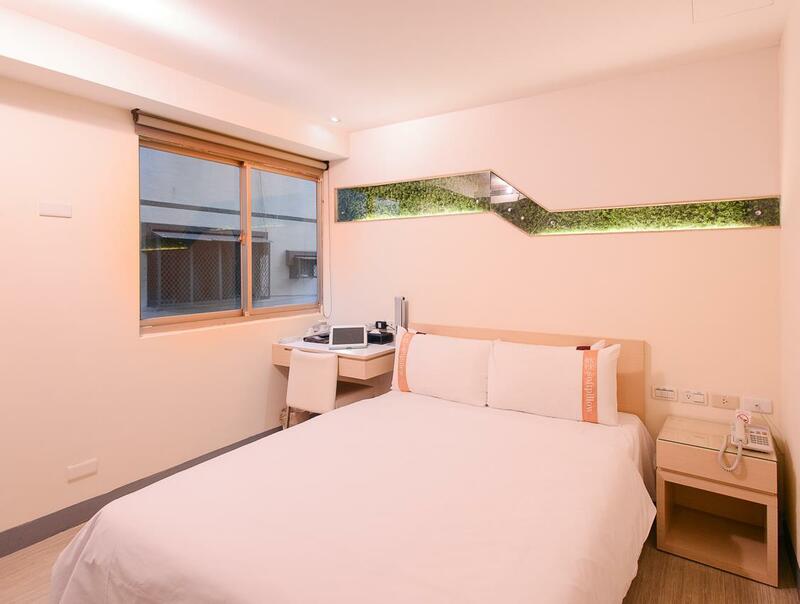 The hotel is about 6 minutes walk to Kaohsiung Main Station. Very convenient. The room is clean. 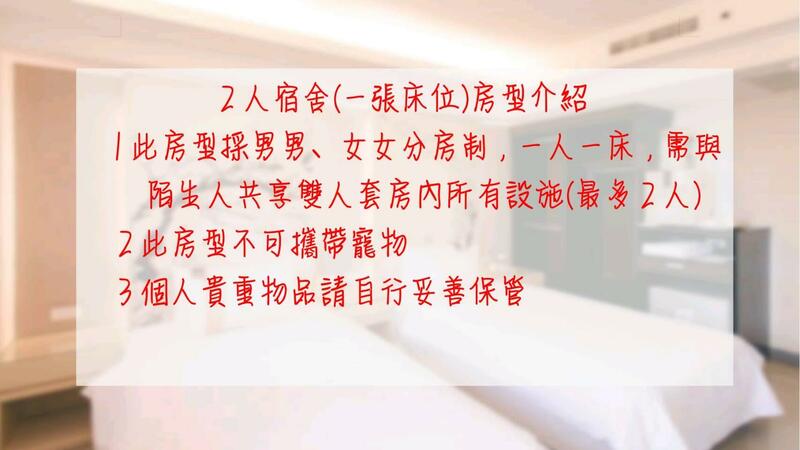 Business oriented hotel with excellent staff, nice facilities, decent (although nothing fancy) breakfast including Taiwanese food and excellent staff. Rooms are very clean, spacious, and comfortable all for a great price especially considering food is included (we also travelled during slower season and they had the best rates around). A small detail I particularly liked was that they offered cleansing milk which is less harsh for face and hand washing. Of all the places we stayed in Taiwan (shuffled back and forth from Kaoshiung to Taipei) we preferred Kiwi hands down for overall bang-for-buck. everything is above average but service is great as they know and help you get to the next destination as quick as possible e.g. our destination was to kenting and it would be hard to get to but they solved it well. Room was quiet, spacious compared to most we've experienced in this price range and above. Breakfast Buffett was varied. We also took advantage of the bikes available since the hotel is close not only to the main train station but also the lovely bike path along the Love River. Stupidly did a long walk over the sky bridge from the mrt and immediately form a bad impression about this hotel before I checked in as it was really inconvenient. Turns out that I walked the wrong way haha. Room was very homely and clean, really appreciate the water dispenser a lot. Soft and comfy bed. Very value for money. Breakfast spread exceeded my expectations for the price I paid. Stayed 4 nights and truely enjoyed our stay. Pros : Spacious room, clean and booking includes breakfast. 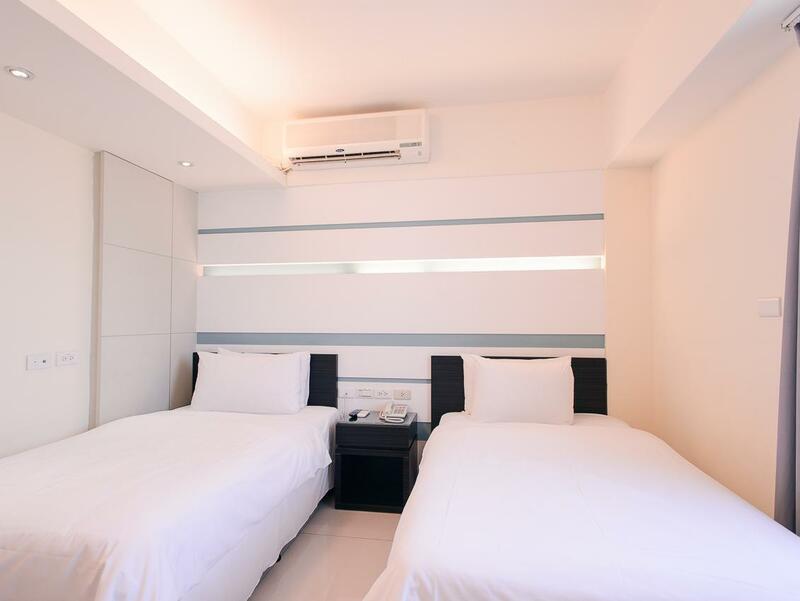 Hotel located near 2 MRT station (Houyi & KaoShiong), thus very easy access to public transportation. Breakfast are reasonably good plenty Choices of restaurants & eateries nearby Cons : Our room has no window & aircond a bit noisy. If you're coming from kaohsiung train station, please note to exit from the rear station. On top of that will be a 10 mins walk to reach the hotel. I wasted a total of 40 mins to locate the hotel after exiting from the front station. But other than the location, the entire stay was a comfortable and pleasant one. the stay was quite pleasant, night market near by, very convenient to bike to love-river and enjoy the city by bike ride. staff was friendly and the room was quite clean and comfortable plus buffet style breakfast. i'm quite happy and satisfied with the price/value the hotel offered. We booked tis hotel as it was on speical offer, we're actually backpackers to this was a big step up from the other hostels we'd been staying in around Asia, but the price was cheap as hostels so we thought why not! The hotel was clean, modern and bright, the room was basic but had a comfy bed, flat screen tv and the lcoation is great, close to a metro and there's a really good food street nearby. It's a good 15 minutes' walk from the station. Only one person at the reception desk with always many people waiting for service. One lift serves 9 floors. Breakfast can't be called that. I'm not picky but there's 40 people at a time and not enough food. Rice (the only edible food) finishes at 7:10 and when asked if more will come the reply is no, that's it. Toast needs to be buttered on the counter from a jar. The jam is inedible (neon pink with no taste), but there is chocolate spread (no individual portion, you need to spread it on the counter using the knife everyone has touched). The room is spacious and functional. There's a kettle but no tea bags. The room wasn't cleaned on the third day of our stay. But it was cheap.